Pass & Seymour 2-Pole 2-Circuit Manual controller toggle switch has voltage rating of 120/277-Volt AC and current rating of 20-Amps. It has oversize silver alloy contacts for better heat dissipation. DPDT Switch in brown color, features nylon constructions. With side wiring, this switch accommodates wire of size 14 - 10-AWG. It measures 1.5-Inch x 1.469-Inch x 3.281-Inch. It is ideal for ON-OFF control of motors on small machine tools, pumps, fans and air conditioning equipment that require heavy-duty AC double throw center off controls. 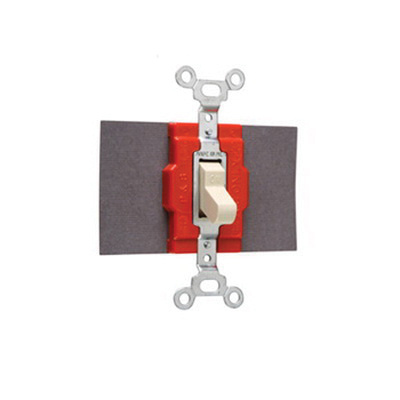 Toggle switch is UL listed, CSA certified and RoHS compliant.